Roof installation, replacement, repair, and maintenance. "Best Roofing & Roof Repair Company In Walnut Creek"
Thank you for visiting Walnut Creek Roofing Experts. We are your local go-to roofers, providing service to Walnut Creek, and surrounding cities in Contra Costa and Alameda County. We are well-versed in commercial and residential roofing and are qualified to serve each of our clients unique needs. Our commitment to customer service guarantees the quality materials and workmanship that our clients deserve. Why should you choose Walnut Creek Roofing Experts among all the roofers in Walnut Creek? The list goes on... Free inspections, actionable advice, and friendly service are just a few of them. Our experienced roofers can guide you through the insurance claim process by educating you on your homeowner benefits to save you money in the long run. You work tenaciously to keep a roof over your head and so will we. Call us today, or fill out the free quote form on the right to schedule your free, no-hassle consultation. Taking the right steps to preserve your roof will significantly increase the value of one of your most prized possessions - your home. Protect the value of your property by repairing or replacing and then keeping up with your roof maintenance. We can seamlessly provide you with an itemized list and the cost details down to the penny for any issues your roof may have. We also offer a slew of various roofing materials and supplies in a variety of colors to choose from. Your roof is vital to the preservation of your home and it’s important to us that you realize this. We'll strive to get to know you on a personal level so that we can understand your needs from day one. This results in zero confusion for both parties. The roofing needs of commercial properties can differ quite a bit from those of residential homes. Because of this, flat roofs are commonly indispensable, requiring precise installation and maintenance. Although other alternatives are becoming more trendy, coatings, sprays, and metal roofing remain some of the most prevailing commercial materials utilized. Whatever material you choose for the appearance, care must be taken to make sure it is installed correctly for functional drainage. Our qualified roofers can handle any job ranging from flat roofs to wooden ceilings and everything in between. While multifamily apartment complexes can be seen as commercial land, they commonly include a blend of both commercial and residential aspects. Apartment homes can vary from typical residential homes though due to their custom decking and sealing requirements. If you are a property management company or simply manage a small rental, please contact one of our associates at 925-329-3298. We will be happy to answer any questions or schedule an inspection at no cost or obligation to you. Failure to fix roof problems in a prompt manner can result in a heap of costly repairs and even health risks later on. Water damage, dry rot, and poisonous molds are just a few of the problems that can occur from small leaks and a lack of maintenance. Detectable signs such as cracked and curling shingles, dark stains, plant growth, worn and deteriorating surfaces, and even replacement of neighboring roofs can indicate your roof may also need some work. Neglecting these signs can cost a pretty penny, so hiring a trusted, experienced roofing company to address these issues early and often is vital to the upkeep of your home. It's no mystery that shingle overlay is more efficient and cost-effective than re-roofing in the short run. Our roofing experts will meet with you to dissect the most cost-effective option for the long term. As always, we'll do our best to match your desires and protect your property for years to come. Building a new home or building is a huge task. With so many technicalities to contemplate, roofing is no exception. Whether it’s your dream home or a rebuild from storm or fire damage, Walnut Creek Roofing Experts can provide you with the quality and perspective you’re looking for. Will the look compliment the surrounding environment? How long does a new roof typically last? How will the roof affect the energy efficiency of my property? What kind of new construction permits are required for me to get the job done? What will a new roof of this kind cost? You've got questions and we got answers, so please fill out our form or give us a call. You can be sure you’ll receive quality and professional service from start to finish. Our job isn't done until you're happy! Addressing small repairs early and often is always more cost-effective than addressing bigger problems later on. So whether you’re in the market for a new home or if you just need a minor fix, give Walnut Creek Roofing Experts a call so we can give you a qualified appraisal. A lot of our customers have been asking us how to best upkeep their roof. And it's very understandable why they are. Improper roofing maintenance or a lack thereof can cost you a lot of money if you're not careful. Check out this short video that teaches your how to maintain your roof in between time of calling your favorite roofing contractors in town! Call The Best Walnut Creek Roofers Now! The requisite for roof restoration or replacement isn’t always due to wear, tear and aging. Our team also provide emergency roof repair services if you need urgent inspection. Even if you’re outside of Contra Costa County, we will do our best to arrive at your property within the hour. Damage from rain storms, tree debris and hail command prompt, preventative measures to avoid bigger problems. If you have fire damage or other hair-trigger roof needs that call for emergency servicing, don’t hesitate to start the process. Even if you believe the job entails too much work, we can always fix what we can today, and then revisit at a later date to fulfill your needs. Although fixing your roof may be an overwhelming task, we'll do everything in our power to make it as easy as possible for you. Conflicts arising from rainstorms, arson or other serious events will usually require assistance from your insurance company. And as you might have presumed, the process can be quite convoluted​ and confusing. Once you have an estimate in hand and you understand the work involved, the question still remains of who is going to pay for what. Insurance adjusters can be scary, but don’t let them intimidate you. Instead, let Walnut Creek Roofing Experts guide you through the entire rebuilding process. While we may not be able to sign off on your insurance claim paperwork, we can educate and guide you in asking the right questions so you know your options. Rest assured, we will work with your insurance company to give you the greatest value for the job at hand. And while we’re on the subject of insurance, make sure to choose a roofing company that is licensed, bonded, and fully insured. It's true - you can be held liable for the employees of a company you have working on your own roof. So never open yourself up to personal liability by allowing uninsured “professionals” to work on your property. Instead, contact Walnut Creek Roofing Experts today. Fill out the form below or call us at 925-329-3298 to schedule your free no-obligation consultation. We are here to make roofing the easiest it's ever been! Upon getting a new roof installed, you should expect to be offered two types of warranties. One warranty covers the contractors labor. The other warranty is promised by the manufacturer of the materials for new roofs and repairs. Just know that the warranties are highly dependent on the property owners level of care and maintenance. As a rule of thumb, roofs generally last for twenty years with proper upkeep. It is possible, however, to purchase heavy duty roofs that can last for 50 years or even your whole lifetime! Some of the factors that may affect the condition of the roof include: proper roof installation, maintenance, climate conditions, home insulation and ventilation, nearby trees and wind speed. Also, flat roofs are more likely to experience the build up of ice, snow and debris compared to steeper roofs. It's always wise to check with the original contractor for the roof records. This will tell you what kind of warranty your roof is currently under, if any at all. The next step would be to have a contractor inspect the roof for material defects, installation mishaps, or strange damages. Although it is unlikely that small fixes to your roof will be free, Walnut Creek Roofing Experts will do our best to pull every last piece of value out of your warranty. An average warranty for a roof ranges from two to ten years. ​"Quick, service-oriented, and professional! That's what you can expect when working with walnut creek roofing experts. I had a rental property that needed its roof inspected and repaired if needed before a client moved in. I like to have things done in a timely manner so I can move on to other things. The staff were so nice and simple to work with and they did the inspection with minimal repairs. I'm so happy with the service, I look to use them for other properties in the future." 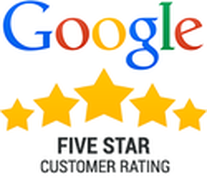 -Christabelle F.
"These guys just saved me a lot of money. The wind ripped of a huge section of shingles on my roof and they were able to get right out and fix whole side of my roof. Hours later it rained and would have destroyed my kitchen underneath. Thanks for the quick and awesome service!" - Chris S.
"Great company, reasonable cost, high quality and most importantly they stuck to their timeline. I received very good service with good status notifications every step of the way." - Kelly L.
"My rental was in desperate need of a new roof. Turns out, it was salvageable and the guys at Walnut Creek roofing saved me a lot of money. They repaired my roof on time and at an affordable rate. When I do need a new roof, these are the guys I'll call." ​- Boris T.